With a stay at Mantovani Guest Houses no 1 and 2 in Welkom, you'll be within a 5-minute drive of Goldfields Mall and Goldfields Casino. The front desk is staffed during limited hours. Event facilities at this guesthouse consist of a conference center and a meeting room. Located in Paternoster, Paternoster Manor is by the ocean, a 1-minute drive from Paternoster Beach and 9 minutes from Cape Columbine Lighthouse. Located in Cape Town (Cape Town City Centre), 504 Warren Heights is within a 10-minute drive of South African National Gallery and Greenmarket Square. Free self parking is available onsite. Located in Arniston, 16 On Main Arniston is within a 15-minute walk of Arniston Beach and Roman Beach. Free self parking is available onsite. 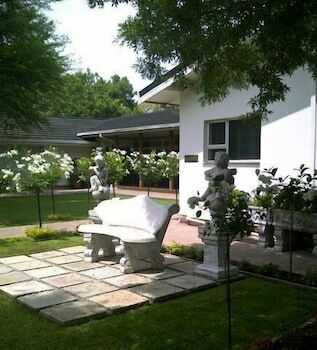 Located in Hartbeespoort, La Dolce Vita Guest House is within a 15-minute drive of Bush Babies Monkey Sanctuary and Hartebeespoort Dam. Free self parking is available onsite. When you stay at Baruch Guesthouse on Lovell in Stellenbosch, you'll be by the ocean, within a 5-minute drive of Rupert Museum and Dorp Street. Free self parking is available onsite.